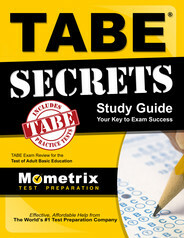 The Test for Adult Basic Education (TABE) is a diagnostic test used to determine a person’s skill levels and aptitudes. Many companies use it in hiring, promotions, or for selecting employees for training programs for skilled positions. The TABE test is also used by public service agencies who are guiding people into adult education programs, such as getting a GED, going to trade school, etc. 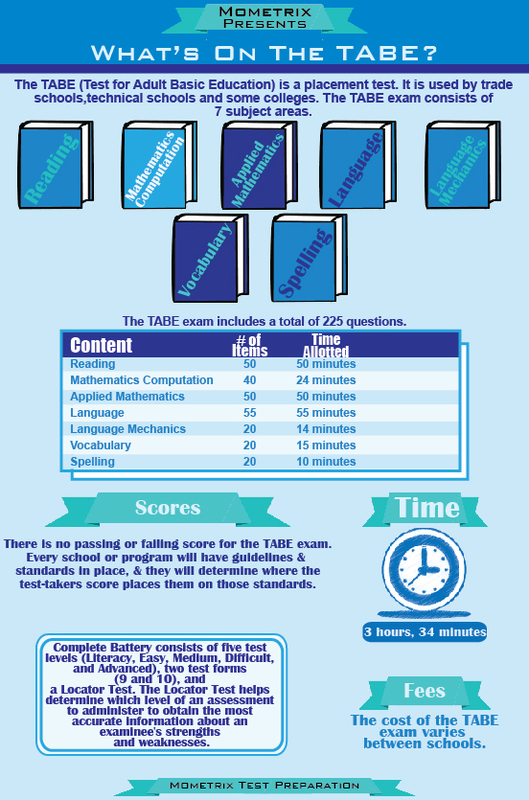 TABE tests skills and aptitudes in reading, math, and English, as you’ll apply them in the workforce or classroom. Although there’s really no such thing as passing or failing the TABE test, your score can determine your eligibility for many programs that can have a positive effect on your life situation, and a huge impact on your future income. It’s important to be prepared for the test. You’ll make arrangements to take the test through the school or agency that’s requiring it. It takes about an hour and a half to complete. In the reading portion, you’ll be tested on your vocabulary and reading comprehension. The English portion will test for spelling, punctuation, grammar, sentence and paragraph structure, etc. The math section doesn’t involve much complex math — there are some questions on pre-algebra, but mostly it’s about basic math, fractions, percentages, and the decimal system. If you’re being required to take the TABE, it’s probably because you’re trying to improve your life in some manner. Doing well on the test can mean the difference between where you are now and a much brighter future. 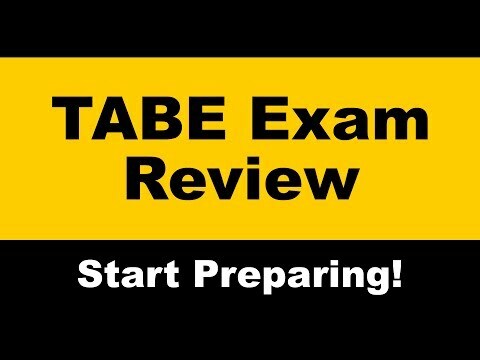 Ace the TABE test using our TABE exam study guide with practice questions. 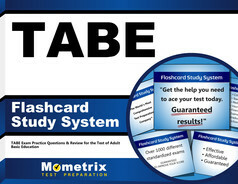 Quickly Solve Difficult TABE Test Questions with the TABE Flashcard Study System.